Dr Kevin Koh is a specialist obstetrician and gynaecologist with over 10 years’ of experience. Having graduated from the University of New South Wales, he undertook the majority of his specialist training at The Royal Hospital for Women in Sydney. He moved to Calvary Hospital in Canberra for 2 years of advanced training, subsequently leading to receiving the Fellowship of the Royal Australian and New Zealand College of Obstetricians and Gynaecologists (FRANZCOG). His main interests are general obstetrics and laparoscopic surgery. He is a conjoint associate lecturer at the University of New South Wales, and also teaches medical students from the University of Sydney. 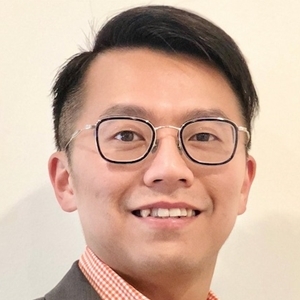 Dr Koh currently holds staff specialist public appointments at The Royal Hospital for Women and The Canterbury Hospital, and will be a RANZCOG training supervisor for the specialist trainees. He has private appointments in the Mater, North Shore Private, Prince of Wales Private, St George Private and Hurstville Private Hospitals. Dr Koh’s practice philosophy is to provide the finest quality, individualised, readily available and most importantly, safe service to women and their partners. He understands that pregnancy may be a time of great anxiety and uncertainty, and is committed to providing support and reassurance at all times while minimising risks to both the mother and baby. Dr Koh recognises that pregnancy is an individual journey and is happy to discuss options and try to accommodate your wishes as much as possible, while ensuring it is safe. As knowledge is empowering, Dr Koh encourages questions to be asked and will allow generous amount of time to answer them. Dr Koh was born in Taiwan and has lived in Taiwan, Malaysia and Australia. As such he is fluent in Chinese (Mandarin) and can support those who speak English as a second language.